For 43 years, the woman in the blue jeans and work shirt would drive into farm communities in the Salinas Valley, six days a week. 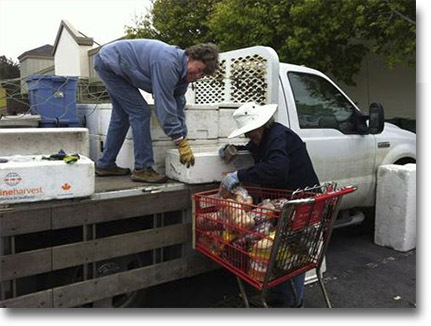 Food and clothing donations would be stacked on her flatbed truck and she would be at the wheel. This was the legendary Nancy Costello of Monterey, who saw the needs of farm labor families and was determined to ease them. The spirit of Nancy still guides Nancy's Project. 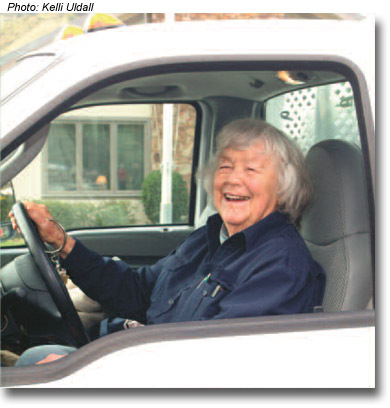 Community volunteers are now carrying on the work that Nancy did, collecting, loading, driving and delivering donations to the farm labor families. Nancy Weill was born in San Francisco in 1918 to Harriet Sargent Weill of Monterey and Stuart I. Weill. The family lived in New Jersey for much of her early childhood, returning to Monterey after her father died when she was eight. Nancy attended Monterey Grammar School, Sunset School in Carmel, Monterey High (Class of '35), Salinas Junior College and Dominican College. Soon-to-be husband Jimmy Costello was four years older, a boy she had known all her life – but not well. Their romance evolved when they were adults. Nancy and Jimmy were married in Carson City, Nevada, the day before Pearl Harbor was bombed. Jimmy served in the Army. A week after he returned from France, on April 2, 1946, they moved into the home on Via Cimarron Street in Monterey where they lived for the rest of their lives. They expanded the house several times to accommodate their growing family, which eventually included six children. "My big memory probably is when Mom and I painted this house together," said second-born son Jim. "She took over my coveralls, which I used for working on my cars." Nancy later traded in her coveralls for her signature jeans and blue work shirt, which she wore every day for making her food deliveries to Salinas, Greenfield and the farmworker camps in the Salinas Valley. Nancy would rise at dawn to load her cargo (including 25-pound bags of pinto beans), returning home after dark. She continued her deliveries until May 2013, when at the age of 94 she turned the responsibility over to a group of volunteers. Nancy passed away peacefully at home shortly after her 95th birthday in the fall of 2013. Source: Dennis Taylor, Monterey Herald. 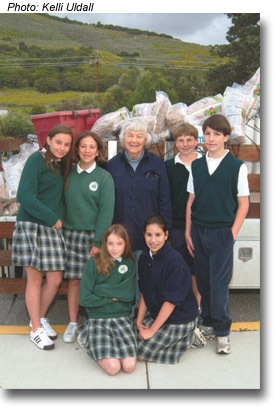 Learn more about Nancy Costello in the 2006 Carmel Magazine article Saint Nancy, written by Robin Littlefield, with photos by Kelli Udall (pdf, opens in new window) and in the obituary in the Monterey Herald.